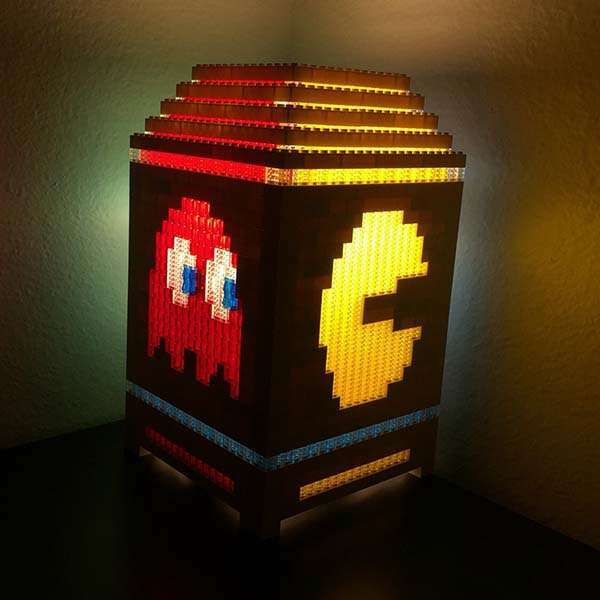 We have featured several Pac-Man themed lamps, but if you’re a big fan of LEGO, the following Pac-Man night light built with LEGO bricks should draw your more attention. This is a pretty cool LEGO LED lamp inspired by Pac-Man, one of the most classic arcade games, and handmade by Jamieson Pond from CA. 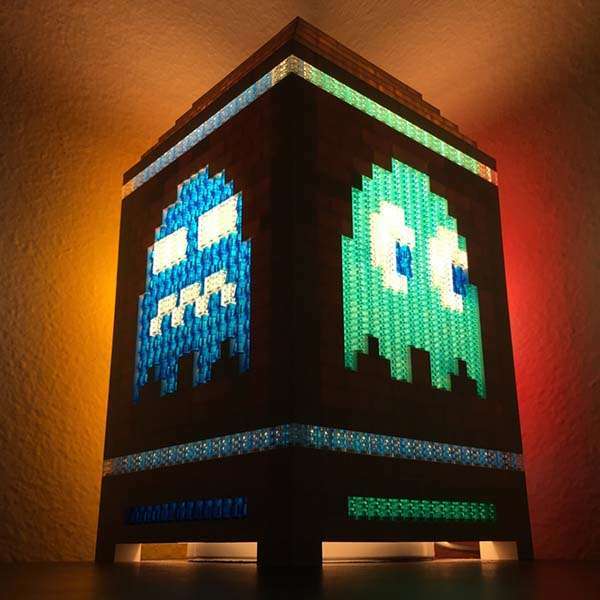 The Pacman lamp measures approx 12.25 inches tall and 7 inches square at the base, and as we can see from the images, the whole night light is built with LEGO bricks, and each side highlights an iconic 8-bit character from the classic video game. Once you turn it on, these cute pixelated characters will emit soft light along with nostalgic memories. Apart from that, the inside of the Pac-Man lamp is hollow, so you can place it over an LED cradle or real candle. The LEGO Pac-Man night light is priced at $400 USD. If you’re interested, head to Etsy for more details. Additionally, if you want more LEGO creations, you may like to check the LEGO Legend of Zelda lamp and more via following tags.